Whenever a flood, pipe burst, roof leak, or sewage backup is causing harm to your property, count on 911 Restoration New Jersey to take care of the problem for you right away! Our water damage South Plainfield technicians will be providing you with assistance you need through our water damage repair and restoration services. Rest assured that that issue will be taken care of as soon as possible to prevent any further complications. 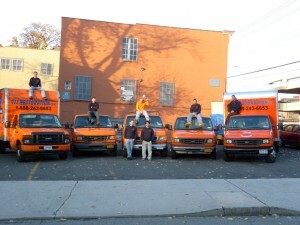 When you give us a call, expect water damage South Plainfield to be there within 45 minutes of your call. Once we arrive, we’ll be providing you with a free assessment that will help us determine the source of the issue and recommend the best solutions. Our IICRC certified technicians are trained and equipped with right tools to taken on all of your water damage concerns. We will be prepared to offer our assistance day or night because we’re available 24/7. We will be working with your absolute satisfaction in mind. 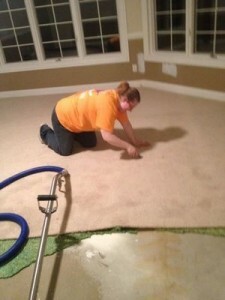 With our help, you can expect your home to get the fresh start it needs right away! Clean your gutters and downspouts on a regular basis. Overtime, leaves and other kinds of debris could accumulate in your gutters. Clogged gutters can also contribute to roof leaks and even foundation damage when water spills over. Inspect your plumbing for any signs of damage. Look for rust, cracks, and leaks. By repairing these issues right away, you can prevent leaks or bursts that can lead to mold growth. Our licensed, insured, and bonded technicians have the training, equipment, and experience to professionally take care of your water damage concerns. To be able to detect and extract water and moisture out of your home effectively, we have our state-of-the-art drying equipment. Through our expertise and equipment, you can expect only the very best when it comes to water damage repair and restoration. Whenever you’re in need of a fresh start after a flood or other major water damage concern, give 911 Restoration a call today!